Andrés Iniesta and Leo Messi relentless run of records continues. After the brilliant Copa del Rey final victory against Sevilla, the two Barça stars have no less than 31 trophies to their names at FC Barcelona, consolidating their position as the two players with most honours in the Club’s long history. Both players have won 8 league titles, 7 Spanish Super Cups, 4 Champions Leagues, 5 Copas del Rey, 3 European Super Cups and 3 World Club Cups. 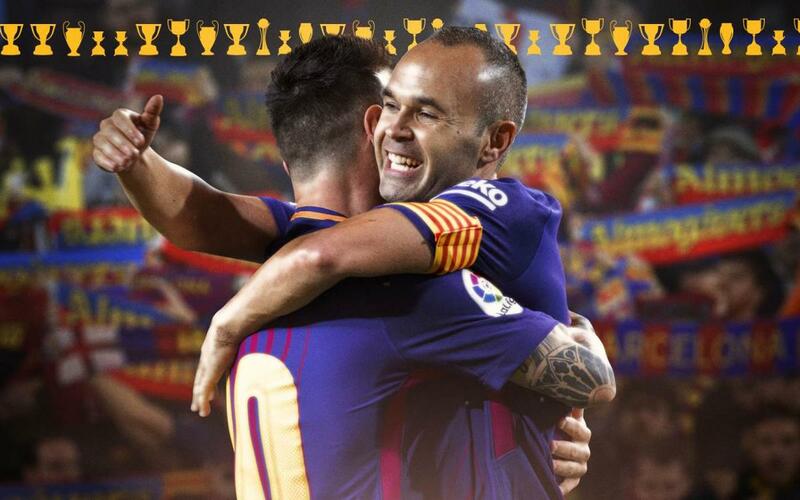 The last decade at FC Barcelona has been the most successful in its history and Messi and Iniesta have played a vital part in making that happen. The Copa del Rey win also means that Gerard Piqué and Sergio Busquets now have 26 titles each, just behind the totals of Leo Messi and Andrés Iniesta. The defender and the midfielder move past Xavi Hernández’s total of 25 titles on the all-time list. For others also, the win against Sevilla as Marc-André ter Stegen, Ivan Rakitic and Luis Suárez are all in double figures with 10 titles, whilst Sergi Roberto equals Carlos Busquets, Guillermo Amor and Pep Guardiola on 19.